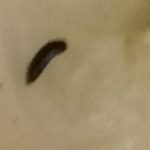 We recently heard from a reader who wrote, “Wondering if this came out of me or from the toilet?” The message implies that there is an accompanying photograph, but there wasn’t a picture included. Unfortunately, without a picture or any sort of description of the creature in question, we can’t determine if the specimen came from our reader or from the toilet. That being said, we regularly hear from readers who discover worms and worm-like organisms in their toilets. In these instances, we almost always come to the conclusion that the discovered specimens are not parasites from our readers’ bodies. Without more information from our reader, we can’t guarantee that the creature he found came from the toilet and isn’t a parasite, but we believe this is the most likely scenario. 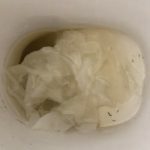 In this article we will discuss a few of the most common non-parasitic worms that turn up occasionally in toilets. Bloodworms, or midge fly larvae, are extremley common household pests. 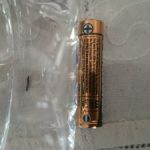 They usually appear in the bathroom shower or toilet, but they sometimes pop up in the kitchen sink or in an outdoor pool. Since they prefer an aquatic environment, they are usually found near a water source. Bloodworms typically feed on the organic matter that lines the drain or pipe near the water source. When they appear, it can be a taken as a sign that the toilet (or shower, pool, sink, etc.) needs to be thoroughly cleaned and cleared of all organic build up and debris. Bloodworms are tiny larvae with small, thin bodies. They are most easily identified by their striking red color, which comes from the presence of hemoglobin (a red protein) in their bodies. 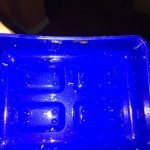 If our reader is dealing with bloodworms, he will need to give his toilet a proper cleaning to get rid of them! Earthworms are also some of the creatures that are most often discovered by our readers. Although we hear from readers with earthworms in their toilets at least once a month, we still haven’t figured out exactly how or why they end up in the toilet bowl. Earthworms need moisture to survive, so it is possible that they seek out the wet toilet bowl after getting trapped in a house. Since earthworms live underground in moist soil, it is probably more likely that earthworms end up in the toilet by means of the plumbing and pipes that run underground. Earthworms are segmented worms that grow several inches long. They vary a bit in color, but are usually either brown, gray, purple, or red, or some combination of the four. 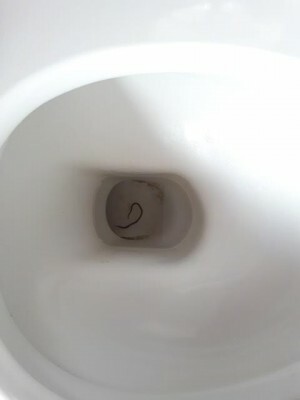 If an earthworm is what our reader found, he should simply remove the worm from the toilet and place it back outside. If he continues to find earthworms in his toilet, there might be a plumbing issue he needs to sort out. 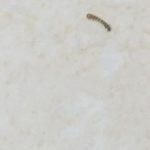 Like bloodworms and earthworms, drain fly larvae are also found in bathrooms, toilets, and showers fairly regularly. These larvae are extremley tiny! They have translucent, black, and white bodies, that are covered with tiny hairs. 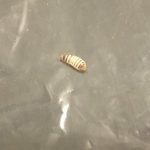 These larvae feed on decaying organic matter that builds up in drains or pipes. They also breed within the layer of grime, so getting rid of them means scrubbing out the pipe and drain with vigor! 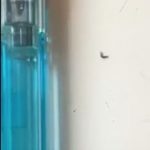 If even after scrubbing, drain fly larvae are still around, then there might be a clog in the pipe that has to be removed. 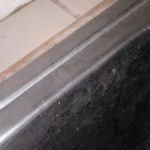 Once the grime is gone, the drain fly larvae won’t stick around! In conclusion, a reader asked us if the organism he found in his toilet came from his body or if it was already living in the toilet. Since there wasn’t a photo or a description, we can’t answer our reader’s question. However, we have described three common specimens that are found in toilets, and our reader might be dealing with one of them. That being said, if our reader is worried that he might be suffering from a parasite or nervous about his health, then we suggest he see a doctor as soon as possible since we aren’t medical professionals and cannot provide medical advice.